The word "chat" takes on different meanings to different people, but regardless of whether you mean messaging, chat rooms or video chat, many of the steps to getting started are exactly the same. Each and every day, millions of people just like you are connecting to the internet for real-time conversations with friends and even complete strangers. Consider exactly who you want to meet and what you want to be able to do when choosing a messaging platform. If you want to chat with people you already know, your best bet is to use a messenger app that your friends are already on — Facebook Messenger, WhatsApp and Snapchat are all very popular options. If you'd like to make new friends or chat with people that you don't know, you may want to try an anonymous chat app like Telegram. Sign up for your own screen name or account with the messaging app that you intend to use. Most apps are free to sign up and to use. Enter your screen name, password and any additional information requested by your messaging app to login. Often when you are signing in for the first time, you'll have the option to give the app access to the contacts stored on your phone, which makes it easy to connect with people you know on the app. You may also have the option to set up a profile and share some details about your interests so that the app can match you with people and content that you may find interesting. If you have signed up to an anonymous app, you can just start chatting by following the prompts. If you've signed up for an app that exposes your identity, and have provided access to your contact list, you'll likely see a list of people that you know who are available to chat. In many apps you also have the opportunity to search for contacts which could be helpful if you want to chat with someone specifically. Many messaging platforms offer the option to chat by video. Fortunately, smartphones have cameras installed which allows you to easily chat by video once you give the application access to it. 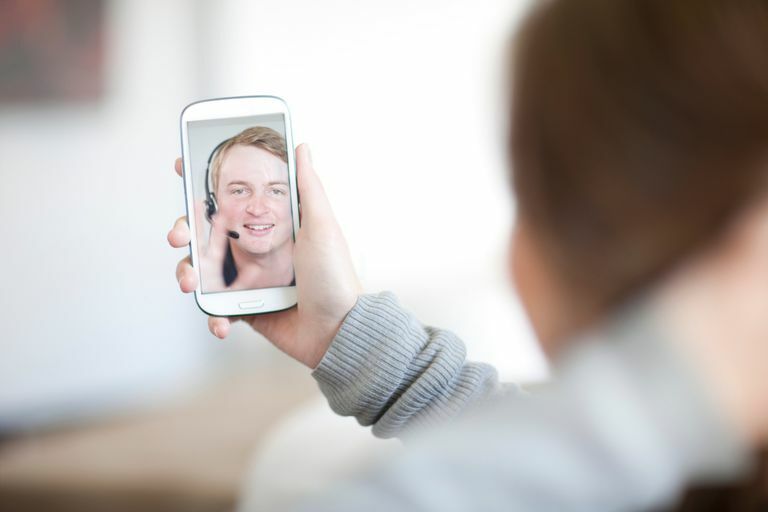 Video chats are a great way to move beyond text-based conversations and interact with people face-to-face. It's also a great way to collaborate on projects or just goof off when you need a break, even via email.